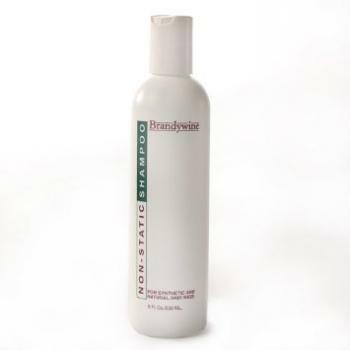 Brandywine Non Static Shampoo 16 oz For Synthetic and Natural Hair Wigs. Cleans,conditions,removes hair spray and lacquer from sythetic fiber wigs and hairpieces. Can also be used on real hair.